students revise the present simple and continuous. 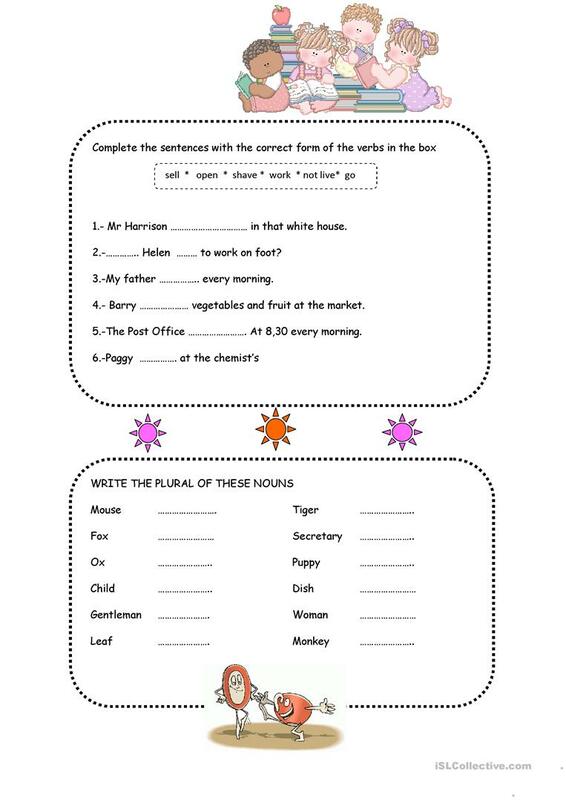 There is an exercise on plural nouns. The present printable, downloadable handout is a great resource for high school students at Intermediate (B1) level. 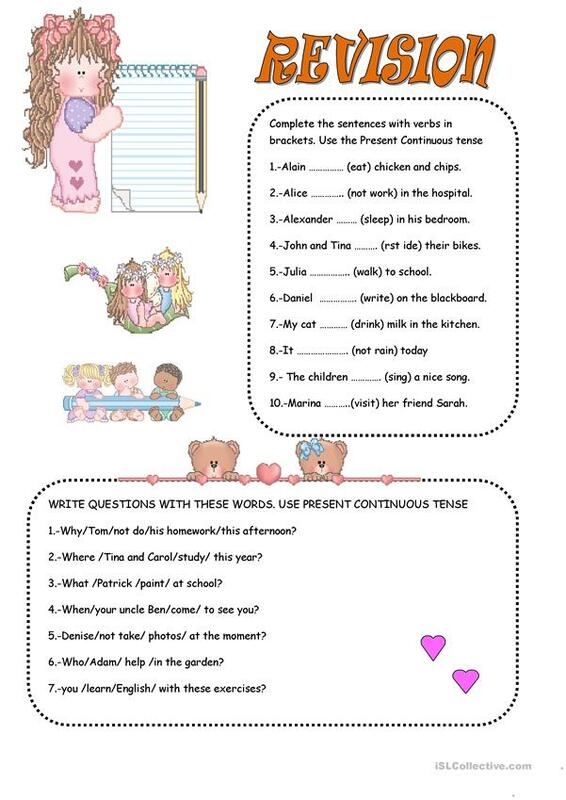 It can be used for developing your pupils' Writing skills.